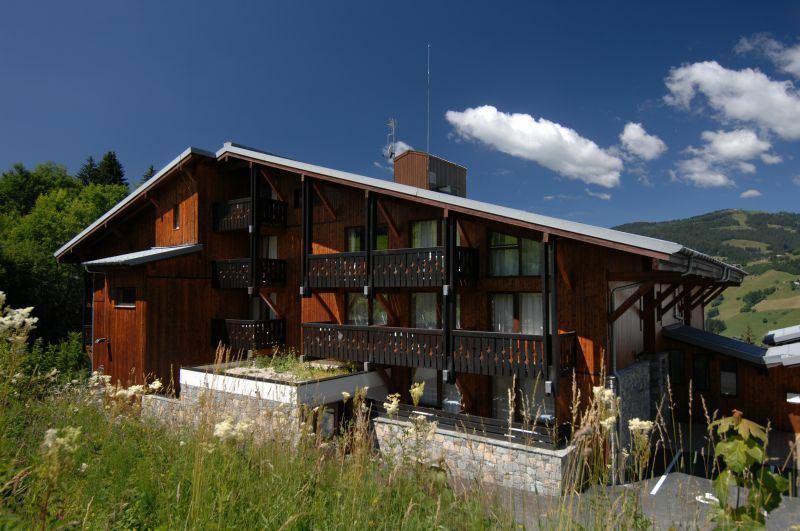 The residence in Megeve is less than one and a half kilometers from the village center, where you will find all sporting activities and shops, less than 500 meters from the restaurants and bars, halfway between the village and the residence. A free shuttle bus between the ski slope and the residence stops close to the residence. The apartments are for example a studio apartment with sleeping corner, to an apartment with 2-3 rooms for six people equipped with a ceramic hob, microwave, grill, dishwasher for the latter apartments, bathroom (with shower) with separate toilet, free television, free Wifi internet and a balcony. This studio with "cabine" is suitable for 6 persons and has an area of about 34m2. Several studios of this type are built in duplex style. The accommodation consist of a living room with a pull-out bed (or sofa bed) for two persons and a cabine with a bunk bed. There is also a double bed in the mezzanine or in the living room. You will also find a fully-equipped kitchenette (vitroceramic hotplates, refrigerator, dishwasher and microwave/grill) and a bathroom with separate toilet. All apartments have a balcony. Bed and bath linen, a TV and WIFI internet access are included in the rental price. As a guest you can use a relaxing area with spa and sauna for a fee, a lounge with fireplace, corner bar, extended with a terrace, an underground parking space for a fee. All apartments have a balcony. Bed linen and bath linen, television, Wifi internet are available and available. For an additional fee you can book the final cleaning or an underground parking space. A baby kit is available free on request. You must pay a deposit and a city tax on location on arrival. You will receive the deposit of 500 euros on the day of departure after the inventory or by post. The accommodation must be left spotlessly clean, if not, you will only receive a part of the deposit. Pets are allowed for a small fee provided they have a valid vaccination certificate, dogs must remain on a leash. In the center of Massif du Mont Blanc, you will find the ski center of Megeve which is the beginning of a skiing holiday in the Haute Savoie in the Haute Savoie region of the French Alps, with the wooden chalets and the identity of the mountains, a warm welcome in an environment that you can only dream of. The ski area Evasion Mont-Blanc is gigantic rich with abundant apres-ski activities. During the summer or winter, Megeve is a dynamic resort in the Haute Savoie region of the French Alps, the place where varied activities are organized, such as mountaineering, glacier walking, dog sledding, curling, ice skating, heated swimming pool, snowshoeing, cross-country skiing, indoor tennis courts, paragliding, hot balloon boating, flying, helicopter, spa, well-being, staying fit, casino, cinemas, discos.